* Perfect for those with sensitive skin, Honore des Pres fragrances are 100% natural and organic. * While it kicks off with a strong white flower note of tuberose and candy sweetness, don’t let this scare you away as it is not “just” a feminine fragrance. * The florals are balanced by strong liquor notes of rum and bourbon vanilla. * With an eau de parfum concentration, the fragrance starts bold and has a long life on skin. * The balsams in the base notes – perou and tolu – are warm and spicy, continuing the syrupy feel of the top notes. * As a tribute to NY, the bottle comes packaged in a Starbucks-like cup, which is odd since Starbucks is based in Seattle. Summary: Although a natural organic fragrance, it is neither musty nor weak which are complaints about some other naturals. 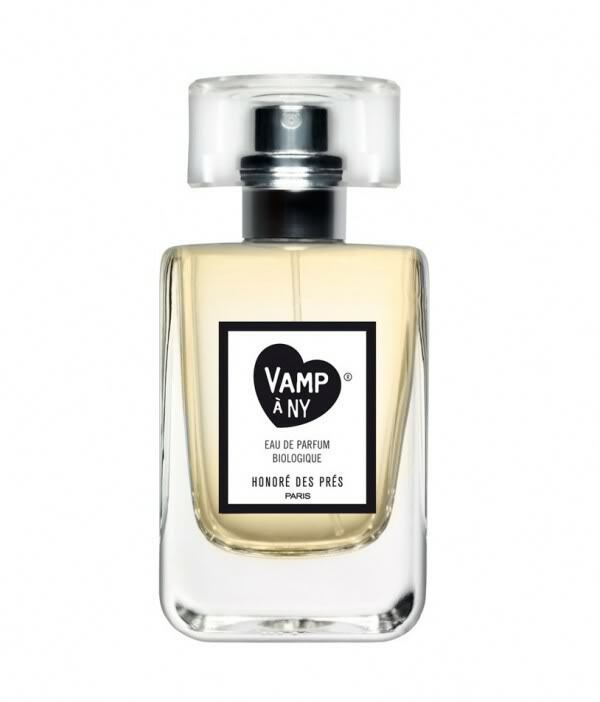 It might be marketed for woman (and let’s face it, the title is vamp), if you have confidence and are not afraid to stand out, Vamp A NY could be a great signature fragrance for evenings. If you love the way Prada Candy smells on your girlfriends, here’s a great way to remix that feeling and make it yours. 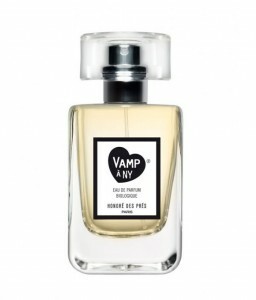 Vamp a NY is available from online shops listed on the Honore Des Pres website. ** Hey guys, what do you think about wearing a sweet floral fragrance? Hey ladies, what do you think about guys who wear sweet floral fragrances? Leave a comment and let us know what you think. The only way that I can “stomach” white florals is if they are candied coated with resins, vanilla, woods…that’s why I love Vamp. I like when men wear florals. I like when people feel comfortable being themselves. Honestly, I think any man that isn’t wearing boring “sporty” scents.